Mark D. Sands retired from the Norwich City School District in 2012 after 22 years of service teaching string lessons and orchestra. NORWICH, NY, September 19, 2018 — Marquis Who's Who, the world's premier publisher of biographical profiles, is proud to present Mark D. Sands with the Albert Nelson Marquis Lifetime Achievement Award. An accomplished listee, Mr. Sands celebrates many years' experience in his professional network, and has been noted for achievements, leadership qualities, and the credentials and successes he has accrued in his field. As in all Marquis Who's Who biographical volumes, individuals profiled are selected on the basis of current reference value. Factors such as position, noteworthy accomplishments, visibility, and prominence in a field are all taken into account during the selection process. 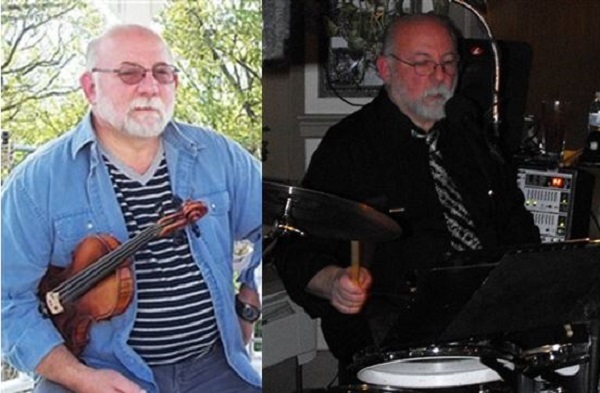 With more than 40 years of practiced experience, Mr. Sands retired from the Norwich City School District in 2012 after 22 years of service teaching string lessons and orchestra. From 2007 to 2010, he also held the position of Music Department Chair. While working there as a stage director, he was honored to have his students be one of the first groups to stage “Phantom of the Opera” and “Mary Poppins.” He also lends his expertise to the New York State School Music Association as a string adjudicator. At the start of his career, he held similar positions with the South Country Central School District, Sachem Central School District, Schenectady City School District, and Monticello Central School District. Over the years, he has served as a musician with the Utica Symphony Orchestra, Catskill Symphony Orchestra and other ensembles in the Central New York State. He is currently in his fourth year as the musical director of the Mid-York Concert Band. In addition to his work in music education, he has served in sales with Nasco, Inc., and as a restaurant manager and proprietor with Midon Restaurant Corporation, Ka-Lo Enterprises and Maricliff, Inc.
A certified permanent teacher in New York, Mr. Sands holds an Associate of Arts from Suffolk County Community College and a Bachelor of Music in education from the Crane School of Music at the State University of New York at Potsdam. Subsequently, he pursued postgraduate studies with the Crane School of Music and the College of Saint Rose in Albany, NY. In order to remain aware of changes in the field, he maintains affiliation with the National Association for Music Education and the New York State School Music Association. For his professional accomplishments, he was nominated as a Teacher with Influence and also earned features in the 60th and 61st editions of Who's Who in America. In the coming years, Mr. Sands intends to continue fostering his love of music and theater by spreading that joy to others. In recognition of outstanding contributions to his profession and the Marquis Who's Who community, Mark D. Sands has been featured on the Albert Nelson Marquis Lifetime Achievement website. Please visit www.ltachievers.com for more information about this honor.